Be Credit Smart. Build and maintain a good credit rating by following these simple guidelines. Whether it’s a car loan, credit card or mortgage, our credit rating plays a major role in all aspects of our lives and more specifically, the cost of that credit. So now more than ever a successful financial plan depends on understanding credit and how to use it wisely. However, many people find the issues relating to their credit rating and debt management confusing and intimidating, and that can lead them to make poor decisions that may haunt them for years to come. That’s why BlueSky Auto Finance developed these simple guidelines to help you better understand how to properly use credit, how to get a car loan and to build and maintain a good credit rating that will serve you well today and in the future. A good credit rating can be a powerful tool. It can help you get a credit card, buy a car and own a home. Today, many employers are checking credit scores of prospective employees and your credit rating can even affect the rate you pay for insurance. But a good credit rating doesn’t happen by accident. Virtually every financial decision you make can affect your credit score. Things like the number of revolving and installment accounts, payment history, credit limit and percentage of available credit all factor into your credit score. Proper management of your credit is essential and could save you thousands of dollars in finance charges on big ticket items like a car or a home. Building good credit can take years, and it’s an asset that’s worth working hard to build. However, a single negative report in your credit file can wreak havoc on your credit rating. So when it comes to managing your credit, there are no minor details. That’s why it’s critical to utilize loan resources and finance tips and understand all the details of any financing agreement before you sign the dotted line. This is particularly important when it comes to financing a car, because it can be easy to get in over your head with a car loan you can’t afford. So, the first and foremost thing to remember about managing your credit is: look before you leap, and avoid making any decisions that may get you in over your head and result in negative information on your credit report. Every time you open an account, close an account, miss a payment, exceed your credit limit, or use credit in virtually any way, the information is recorded by the three major credit reporting agencies: Experian, Trans Union and Equifax. The agencies maintain these records, and make them available for a fee to lenders who request them, in order to “check the credit rating” of a prospective borrower. Know your credit score credit rating before you apply. Before you apply for any kind of financing, it’s wise to check your credit score, and to review all information in your credit report. If you find any inaccurate negative information in your file, contact the reporting agency and request to have it removed before you apply. To help build and maintain a high credit report and score, always be sure to pay your monthly credit card, mortgage and car loan bills on time. Also, avoid opening multiple revolving and installment accounts if you can use another form of payment as too many open accounts can adversely impact your credit score. If possible, try not to have any more than 2 to 3 open credit card balances. Lastly, try to keep your credit card balances beneath 30% of the credit limit for any one credit card. Another important issue that can damage your credit rating is identity theft, which happens when someone fraudulently obtains your social security number, credit card number, or bank account information, and then begins accruing debt in your name without your knowledge or consent. To To protect yourself from identity theft, never give out your social security number or other financial information over unsecured on-line channels, or to unsolicited telemarketers. The major credit reporting agencies also offer credit monitoring services that will alert you if someone checks your credit, and if new accounts are opened in your name. Once you’ve opened an account, it’s essential that you make all your payments, including your car loan, on time in order to keep your credit rating in good standing. Not only does punctual repayment help you avoid late fees, it also helps improve your credit score. A late and inconsistent payment pattern can lower your credit rating and score. It’s as simple as that. Remember, you are not limited to making just your minimum monthly payments. Depending on the terms of your account, you may be able to make additional payments each month, and even repay your loan early. Bad credit car financing comes with high interest rates so making additional payments is not a bad idea as it will significantly reduce your car finance charges. By adding as little as $20 to your payments, you will pay off your loan sooner and have a positive impact on your credit rating. Check with your lender before making additional payments to make sure you will not incur pre-payment penalties and that any additional payment you make is applied to principal. With the busy lives we lead, it can be easy to miss a payment and falling behind on just one payment will have a severe impact on your credit rating. But there are a few simple things you can do to remind yourself of upcoming statements, and ensure that your payments are received on time. Remember to include your monthly payments in your household budget, so you’re always sure to have the money available each month. Another good idea is to write a series of post-dated checks for your upcoming payments, and keep them in your file with your statements. When a bill arrives, all you have to do is put the check in the return envelope, apply postage and drop it in the mail. Additionally, if your lender offers online bill payment via check card or funds transfer, you can save time and postage by making payments on-line. You may even be able to sign up for automatic monthly payments, so you never have to worry about whether your bills will be paid, even if you happen to be traveling. Automatic bill pay is an excellent method for paying your bills in a timely manner and guarantees a good credit rating. 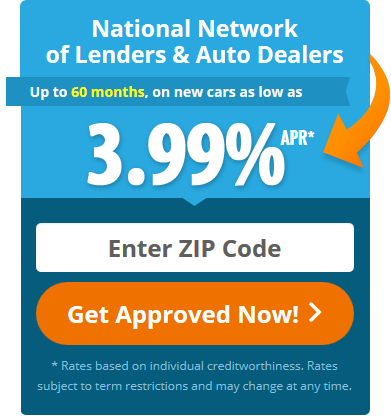 Good credit habits don’t stop once you’ve been approved for car loan financing. Many car loan companies, mortgage lenders and credit card issuers continue to monitor the credit rating of their existing customers on an ongoing basis, and they may adjust your interest rate based on your current credit score—not just your score at the time your account was opened. So, protect your credit rating and always remember to use your credit wisely by practicing the lessons in this guide and make your car loan payment on time. Disclaimer: BlueSky Auto Finance is not a lender. All information is provided by BlueSky Auto Finance as a service to the public. While our goal is to provide information that will help consumers to obtain financing, manage their credit and debt and help maintain a good credit rating, this information should not be considered legal and/or financial advice. Such advice must be specific to the various circumstances of each person’s situation, and the general information provided on these pages should not be used as a substitute for the advice of competent legal counsel.